For decades I’ve warned my patients and readers against the use of low-dose aspirin for the prevention of cardiovascular disease. And today, the American College or Cardiology and the American Heart Association are closer than ever to agreeing with me. Just last month they just released their latest guidelines on the prevention of cardiovascular disease. And I am happy to see their latest stance on low-dose aspirin is much more in alignment with my own. In their own words, “Aspirin should be used infrequently in the routine primary prevention of atherosclerotic cardiovascular disease because of lack of net benefit”. 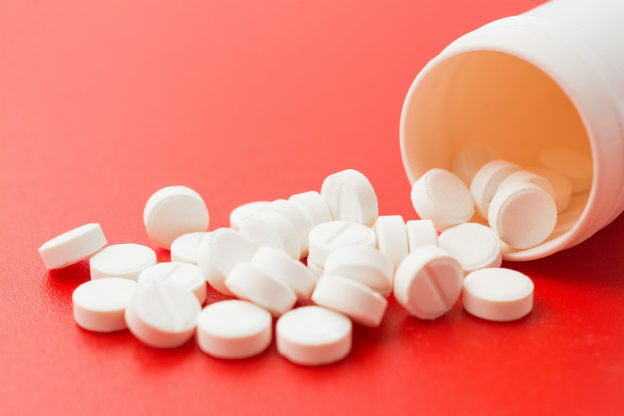 They also admit that the bleeding risks associated with aspirin may outweigh the benefits. This entry was posted in Heart Health and tagged does garlic thin blood, Foods that thin blood, how to make my blood thinner, is aspirin a good blood thinner, is aspirin still recommended for heart disease, is it okay to take daily aspirin, should I take aspirin and blood thinners at the same time, supplements to thin my blood, why is daily aspirin bad for me on April 12, 2019 by wellness.